Fisher’s Superkids…it’s all in the name! Hi, my name is Tristan and I am 25 years old. I am from South Africa and I have such a deep passion for teaching and making a difference in children’s lives. This passion combined with my love for traveling lead me to Fisher’s Superkids, and it’s all in the name! My experience teaching here has truly been super, the best experience so far out of my three years of teaching abroad. This school has helped and encouraged me to reach greater heights in my teaching career. From the first day I walked in for an interview at the school, I was greeted by warm faces from both staff and students. Throughout my year of teaching, those faces have never faded. They have provided a true sense of ‘family’ away from home. In saying this, everyone at the school was always beyond eager to help in any way possible, and they genuinely always have your best interests at heart. 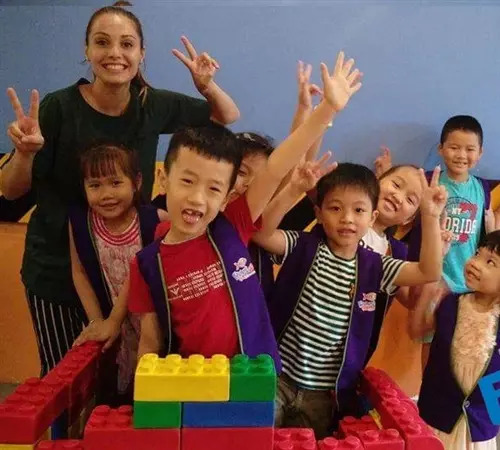 What made this school the top choice for me when applying for positions in Danang, was the fact that they helped and provided me with a work permit and a residence card. This, I found to be quite rare in Vietnam. Not only that, but they offered to help me find accommodation, transport, medical insurance and anything else I needed to help me ease into the process of settling abroad. To top it all, out of all the schools I approached, this center was one of the highest paying centers in the city, showing that they truly value their employees. I had an amazing experience at SuperKids. Together with the marvelous beach location and incredible atmosphere of Danang, I had an unforgettable year and I would highly recommend SuperKids to anyone. If you’re ready to make a difference in the lives of many, then jump into the opportunity of working at this wonderful school. You won’t regret it!